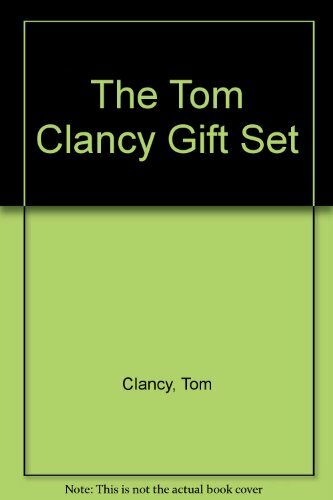 9781530889914 | Createspace Independent Pub, April 4, 2016, cover price $6.75 | About this edition: Die ErzÃ¤hlung spielt in der Mitte des 16. 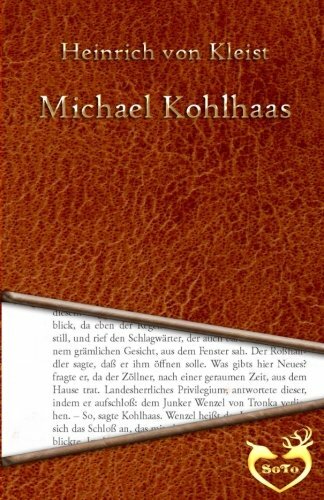 9781508510628 | Createspace Independent Pub, February 17, 2015, cover price $5.99 | About this edition: Heinrich von Kleist: Michael Kohlhaas Edition Holzinger. 9783640252411 | Gardners Books, October 26, 2013, cover price $26.20 | About this edition: Klassiker aus dem Jahr 2009 im Fachbereich Germanistik - Neuere Deutsche Literatur, , - Quellen im Literaturverzeichnis, Sprache: Deutsch, Abstract: Eine Novelle, in der es um die Frage geht, ob Selbstjustiz zulÃ¤ssig ist, wenn die Justiz versagt. 9780976140726 | Melville Pub House, June 2, 2005, cover price $10.00 | About this edition: "You can send me to the scaffold, but I can make you suffer, and I mean to. 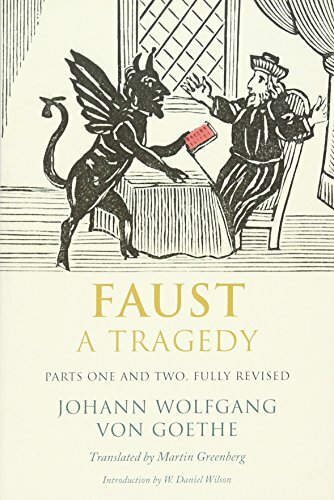 9780300189698 | Revised edition (Yale Univ Pr, July 29, 2014), cover price $25.00 | About this edition: A classic of world literature, Goethe’s Faust is a philosophical and poetic drama full of satire, irony, humor, and tragedy. 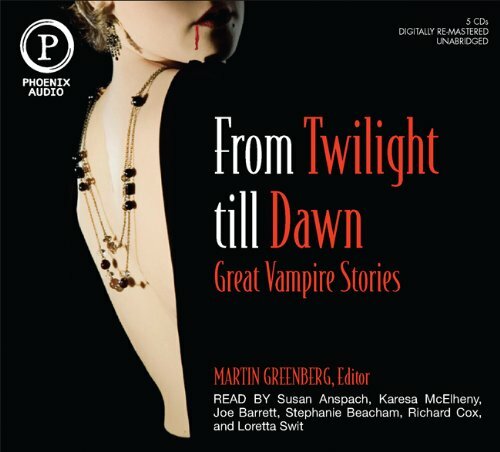 9781597773294 | Unabridged edition (Phoenix Books Inc, October 1, 2009), cover price $19.95 | About this edition: Are vampires a bloodthirsty menace to mankind? 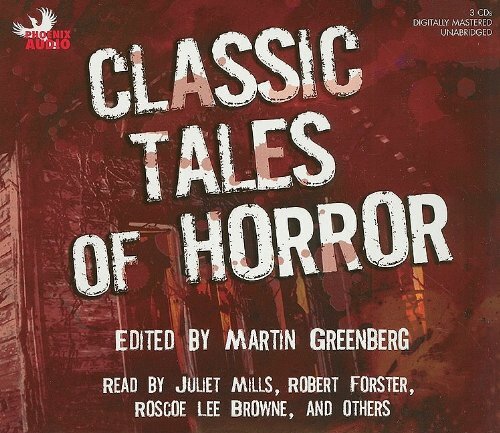 Product Description: Featuring some of the masters of the horror genre, these stories are as remarkable for their literary value as they are for their scream factor, performed by legendary readers. 9781597773065 | Unabridged edition (Phoenix Books Inc, September 28, 2009), cover price $9.95 | About this edition: Featuring some of the masters of the horror genre, these stories are as remarkable for their literary value as they are for their scream factor, performed by legendary readers. 9780786018246 | Pinnacle Books, May 1, 2007, cover price $6.99 | About this edition: Brimming with adventure and action, this exciting collection pays tribute to the legends of the wild frontier, from Buffalo Bill to Cochise, and features contributions from Louis L'Amour, Elmer Kelton, William W.
9780517336359 | Gramercy, March 7, 2006, cover price $11.99 | About this edition: This giant volume combines two collections of the best science fiction stories from the fifties, sixties, and seventies, edited and with an introduction by the incomparable Isaac Asimov. 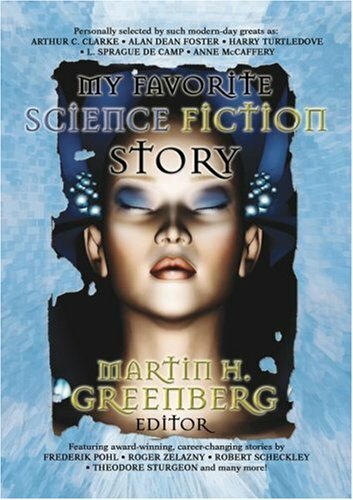 The top names in sci-fi--Anne McCaffrey, Harry Turtledove, Arthur C. Clarke, Robert Silverberg, and others--present a distinctive collection of stories from the masters of science fiction, including Keith Laumer, Theodore Sturgeon, and Lester Del Rey, that have influenced their careers and works. Reprint. 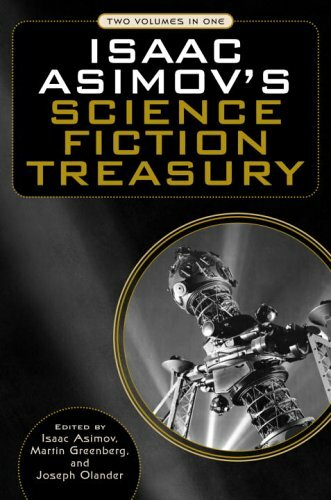 9781416504283 | Ibooks, September 30, 2005, cover price $12.95 | About this edition: The top names in sci-fi--Anne McCaffrey, Harry Turtledove, Arthur C.
9780743505000 | Abridged edition (Simon & Schuster, October 1, 2004), cover price $29.95 | About this edition: When an island resort becomes a hotbed of international conspiracy, UpLink operative Pete Nimec goes undercover and stumbles upon a plot to drain oil from the Strategic Petroleum Reserve and sell it to the highest bidder. Product Description: A review of all aspects of treatment and management of fractures in adults. 9780397511518, titled "Rockwood and Green''s Fractures in Adults" | 3rd edition (Lippincott Williams & Wilkins, April 1, 1991), cover price $350.00 | also contains Rockwood and Green''s Fractures in Adults, Wild Card, Wild Card, Wild Card, Wild Card | About this edition: A review of all aspects of treatment and management of fractures in adults. 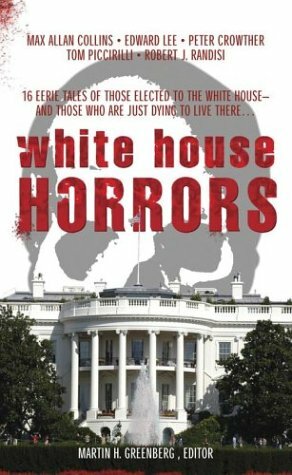 Sixteen stories follow the frightening and ghostly encounters by United States presidents within the White House walls and include contributions by such authors as Brian Hodge, Barbara Collins and Max Allan Collins, Graham Masterson, Billie Sue Mosiman, and Bill Crider. Reprint. 9780743487313 | Reprint edition (Ibooks, August 1, 2004), cover price $6.99 | About this edition: Sixteen stories follow the frightening and ghostly encounters by United States presidents within the White House walls and include contributions by such authors as Brian Hodge, Barbara Collins and Max Allan Collins, Graham Masterson, Billie Sue Mosiman, and Bill Crider. 9781556562785 | Dercum Pr Audio, June 1, 2001, cover price $21.95 | About this edition: The best new stories of the year! 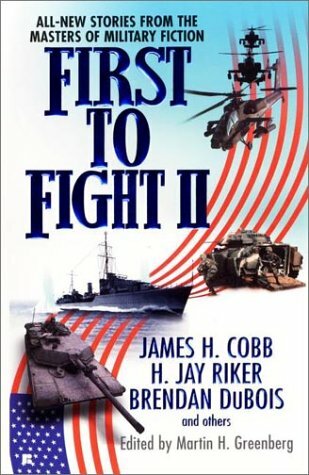 9780425180075 | Berkley Pub Group, June 1, 2001, cover price $6.99 | also contains Said the Manic to the Muse | About this edition: An anthology of military fiction tales journeys to the front lines of battle on land, in the jungle, and in the ocean depths. An entertaining and chilling anthology introduces eighteen original tales of ghosts and hauntings by Elizabeth Ann Scarborough, James Lowder, Michael A. Stackpole, Janet Pack, Andre Norton, Stephen W. Gabriel, Roland J. Green, Lisanne Norman, and other notable authors. Original. 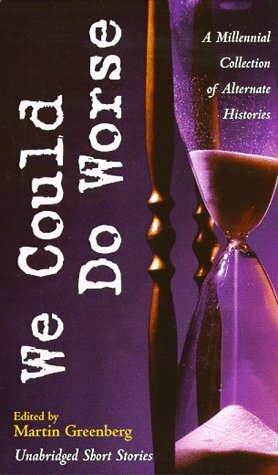 9780886779924 | Daw Books, March 1, 2001, cover price $6.99 | About this edition: An entertaining and chilling anthology introduces eighteen original tales of ghosts and hauntings by Elizabeth Ann Scarborough, James Lowder, Michael A. 9781556562471 | Dercum Pr Audio, March 1, 2001, cover price $21.95 | About this edition: The best new stories of the year! 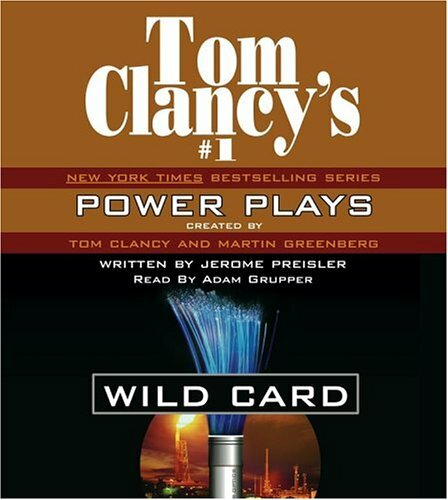 9781556562105 | Unabridged edition (Dercum Pr Audio, March 1, 2001), cover price $19.95 | About this edition: Orson Scott Card, the winner of the Hugo, Nebula and World Fantasy Awards for fiction, and Martin H.
9781556562112 | Unabridged edition (Dercum Pr Audio, January 1, 2001), cover price $19.95 | About this edition: Orson Scott Card, the winner of the Hugo, Nebula and World Fantasy Awards for fiction, and Martin H.
9781556562099 | Unabridged edition (Dercum Pr Audio, September 1, 1997), cover price $21.95 | About this edition: Orson Scott Card, the winner of the Hugo, Nebula and World Fantasy Awards for fiction, and Martin H.
9781556562518 | Dercum Pr Audio, March 1, 2001, cover price $21.95 | About this edition: American authors and stories dominate the mystery scene. 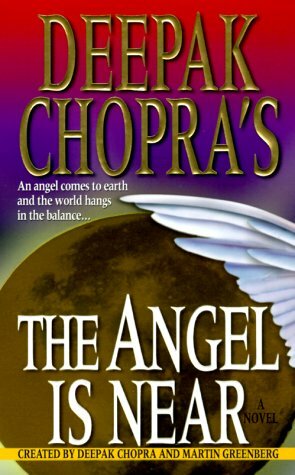 9781556562075 | Unabridged edition (Dercum Pr Audio, January 1, 2001), cover price $19.95 | About this edition: Orson Scott Card, the winner of the Hugo, Nebula and World Fantasy Awards for fiction, and Martin H.
9781556562082 | Unabridged edition (Dercum Pr Audio, January 1, 2001), cover price $19.95 | About this edition: Orson Scott Card, the winner of the Hugo, Nebula and World Fantasy Awards for fiction, and Martin H.
9781556562068 | Unabridged edition (Dercum Pr Audio, January 1, 2001), cover price $19.95 | About this edition: Orson Scott Card, the winner of the Hugo, Nebula and World Fantasy Awards for fiction, and Martin H.
American physician Michael Aulden stands at the center of an epic global confrontation of the body, mind, and soul, as humankind must choose between the forces of good and evil, with the fate of the entire world at stake. Original. 9780312970246 | St Martins Pr, August 15, 2000, cover price $6.99 | About this edition: American physician Michael Aulden stands at the center of an epic global confrontation of the body, mind, and soul, as humankind must choose between the forces of good and evil, with the fate of the entire world at stake. 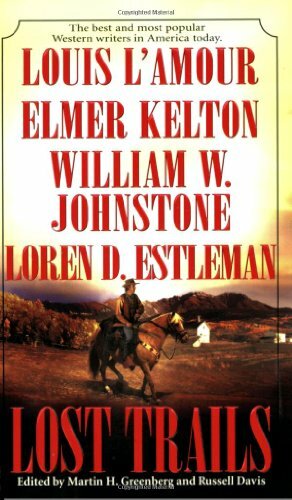 Product Description: The War between the States comes alive in this outstanding collection of Civil War stories by some of America's most respected authors, including Ambrose Bierce, Kate Chopin, Stephen Crane, Louisa May Alcott, and Edith Wharton. 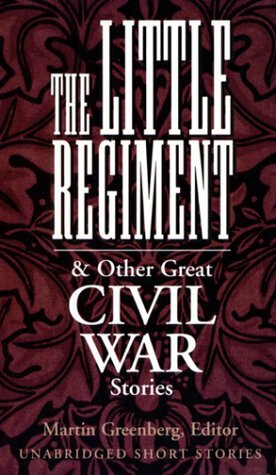 9780787119034 | Unabridged edition (Dove Entertainment Inc, August 1, 1999), cover price $25.00 | About this edition: The War between the States comes alive in this outstanding collection of Civil War stories by some of America's most respected authors, including Ambrose Bierce, Kate Chopin, Stephen Crane, Louisa May Alcott, and Edith Wharton. 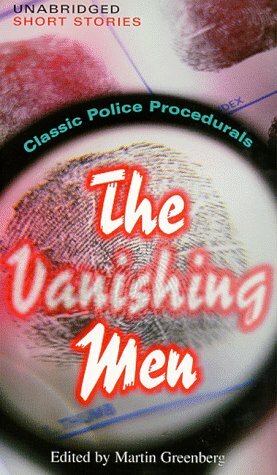 9780787118600 | Unabridged edition (Dove Entertainment Inc, June 1, 1999), cover price $25.00 | About this edition: A collection of nine classic police stories of the police procedural genre.